This time of the year is one of the best times of the year for families as there are many holidays to enjoy together. However, it is also the time of year that germs and viruses love as well, which can lead to several childhood illnesses becoming more prevalent in the community. In most cases, they will likely have a dose of the sniffles, which can be easily treated with over the counter medicines. However, as a parent, it is essential to recognize the symptoms of childhood illnesses as soon as possible so that your child can receive the appropriate treatment as quickly as possible and avoid any potential complications. The flu is a common problem that can affect people of any age but can be particularly debilitating for those with weak immune systems. For kids, the symptoms can be much worse than in adults and will require some time off school due to its highly infectious nature. In younger babies, the flu can be a potentially life-threatening condition, so it is important to get prompt medical care. If you notice that your child has a high fever combined with any other symptoms, then call your pediatrician immediately for advice. Regardless of the severity of the flu, it is essential you keep your child well hydrated and rested. Your doctor will advise you on the appropriate medications and other things you can do to make your child as comfortable as possible. The flu usually runs its course after about a week, but it is essential to keep your pediatrician in the loop, so your child can get back to school as soon as possible. As the flu season comes every year, it is highly recommended that your child is immunized at a young age. The common cold is a fact of life, and your child will eventually suffer from one no matter how healthy they are in general. It doesn’t help that schools are notorious breeding grounds for this, with your child likely to have at least four colds every year. 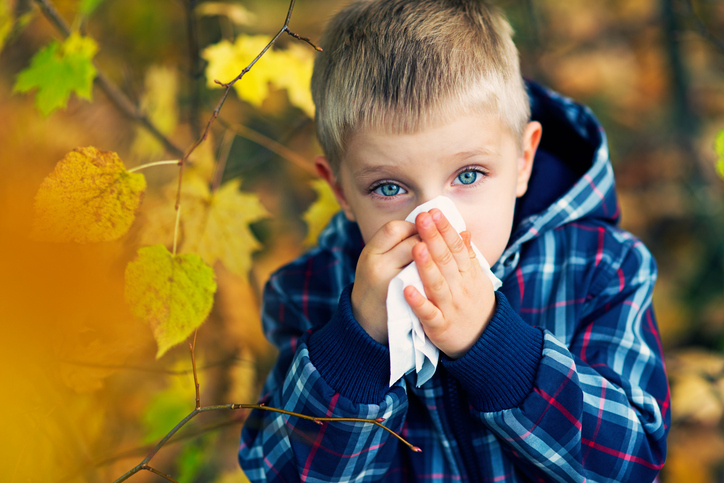 Kids tend to suffer more when they have a cold, with symptoms such as blocked noses and sore throats making them miserable. They can usually be treated at home and don’t require a visit to the doctors. However, if you notice that the symptoms are getting worse or that they develop a high fever, then your child might be suffering from the flu, and you should call your doctor immediately. However, in most cases, your child will make to normal within a couple of weeks. As with the flu, it is important to keep your child well-hydrated while they are sick. You should also try to keep the air moist and use products such as Vicks VaporRub to relieve congestion. Another condition which can be confused with the common cold is RSV, which is a common issue affecting kids of all ages especially this time of the year. Like the cold, it is very contagious and can quickly spread around the classroom, so you will need to keep your child at home if they have been diagnosed. The severity of the symptoms varies from child-to-child, but usually includes a cough, dry, sore throat, and a runny nose. If the symptoms are mild, there is absolutely nothing to worry about, but if they are accompanied by a high fever, then you need to seek medical attention immediately. In young children, the symptoms are easily controlled through over the counter nasal sprays and fluids, but this virus can be problematic in babies, so they will need to be carefully monitored to ensure there are no complications. As with the common cold, young children and babies will suffer from this at some point in during their childhood, and as a parent, all you can do is try to limit their exposure by keeping toys and surfaces clean and hand washing. If your child has had any of the symptoms mentioned above, and their symptoms are getting worse, then they may be developing pneumonia. Babies and kids with weakened immune systems are, particularly at risk. Pneumonia is an infection of the lungs which can be caused by a virus or bacteria. In young children, it often strikes after a bout of flu, so it is vital that you contact your doctor if your child is getting worse, not better. They will be able to decide on the best course of treatment, depending on the seriousness of the symptoms. In most cases, a course of antibiotics combined with lots of fluids and rest will get your little one back on their feet within a week or two. Another preventative measure is the flu vaccine, which offers frontline protection against many forms of pneumonia.